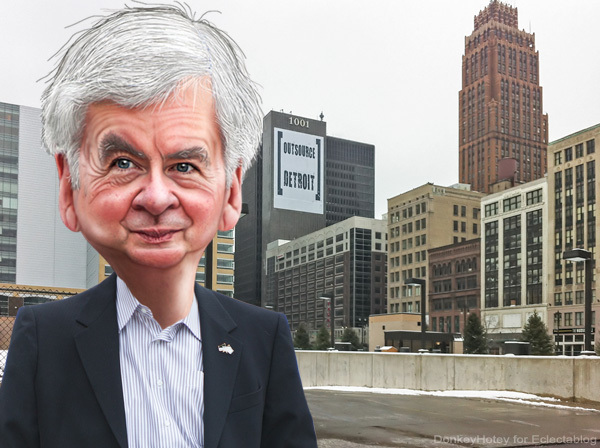 In 2013, Michigan governor Rick Snyder imposed an Emergency Manager on the city of Detroit. With that move 49% of the African Americans in Michigan were without a democratically-elected local government. His appointed Emergency Manager was given full control over the city. This past week, Gov. Snyder continued his disenfranchisement of Detroiters when he chose the date of the special election to replace Congressman John Conyers, Jr. who “retired” under a scandal of sexual harassment of his female staffers and others. That date is November 6th, 2018 – 11 months from now. On that day, Detroiters will choose the person to fill Conyers’ seat for the remaining 55 days of his term (the primary is on August 7th.) They’ll also choose the next person to be the member of Congress for Michigan’s 13th Congressional District — which includes most of Detroit — on the same ballot. Something tells me the “local taxpayers” would be willing to take on that “financial burden” in order to have representation in Washington, D.C. After spending so much time without local democracy, I doubt Detroiters have any sort of appetite for further disenfranchisement. But Gov. Snyder doesn’t have to run for office again so their concerns are not concerns he shares. Oddly, the Democratic chairman for the 13th District, Jonathan Kinloch, supports the move. Democracy in Michigan is a luxury that Detroit residents apparently aren’t deemed worth of having.